How come you can run an eye tracking test in under 30 minutes? Here is how I did it using my CoolTool account. First, I created a project and uploaded a picture I wanted to test to my questionnaire. 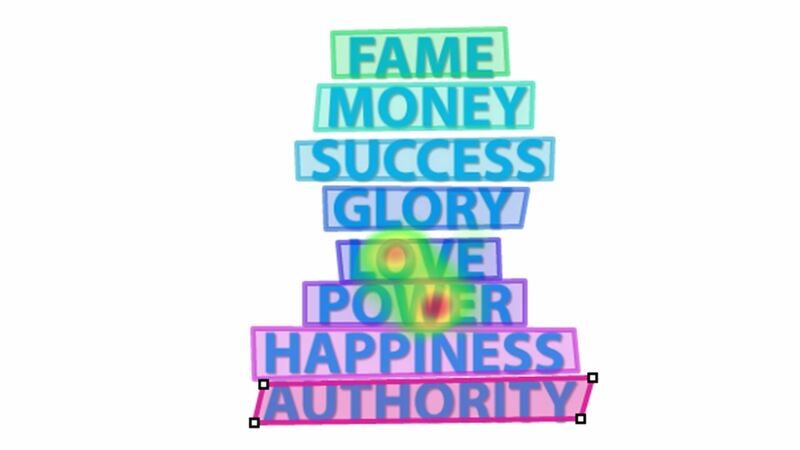 My goal was pretty simple - I wanted to see, which word out of these 8 would attract the most attention. I have defined my 8 Areas of Interest (Fame, Money, Success, Glory, Love, Power, Happiness, Authority), so I can get statistics on each one of them. 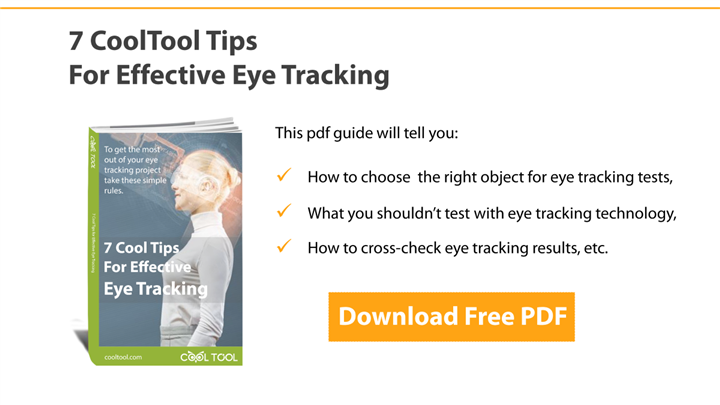 I launched an eye tracking data collector and sent a link to 10 people asking them to participate in my test. And here is what I got in my automated report. "Power" turned out to be the most popular word out of eight. "Love" and "Authority" take the second and the third place respectively. The Gazeplot told me that people looked at "Glory" first and then switched to Fame and Money. Do you have an interesting idea for testing? Your free account is waiting for you here.